Teeth Whitening - Dr. Isaac Comfortes, D.D.S. At Total Health Dentistry of Encino, we cater to patients who want optimal smiles. Teeth whitening is one of the most sought after cosmetic dental treatments that you can perform in the comfort of your home. With our healthy whitening products and individualized guidance, patients with healthy dental enamel can whiten and brighten their teeth comfortably, safely, quickly, and effectively in the comfort of their own homes. If you have eroded tooth enamel, or have intrinsic dental stains that dental bleaching cannot remove, Dr. Isaac Comfortes can help you have the smile you desire in the healthiest and most conservative way possible for your circumstances, using composite bonding, dental veneers, and/or crowns. Teeth whitening can be done in our office or at home. If you choose to whiten your teeth, we will make impressions of your teeth and fabricate custom whitening trays. These trays are not the same as a mouthguard. They fit closely around your teeth to maximize their exposure to the whitening gel, but at the same time protect your delicate gum tissue from exposure. 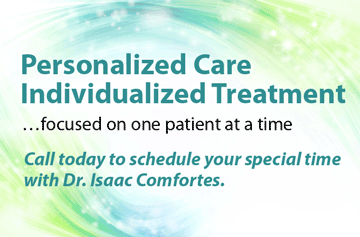 Dr. Comfortes will provide you with the gel he thinks will be best for your treatment. For at home whitening, we will explain how to put the gel in your trays and provide instructions for wearing your trays. 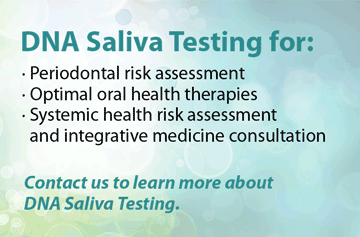 If you have dental sensitivity, we can offer you desensitizing solution to minimize discomfort. Oxygen in the peroxide gel will travel through your dental enamel, breaking apart the bonds between stained molecules. For optimal results, we typically recommend wearing trays 30 minutes a day for two weeks. However, the exact duration of your treatment will depend on the degree of discoloration and your response to whitening. Although teeth whitening can remove dental discoloration, the treatment will not prevent stains from returning. You will want to do periodic touch-ups using your custom trays. Our office can supply the whitening gel when you need a fresh supply. Typically, we recommend touch-ups every six months, but this will differ for each patient. Teeth whitening is not a replacement for good oral hygiene and regular dental checkups and teeth cleanings. The teeth cleanings done in our office by our registered dental hygienist remove the build-up of bacterial plaque on your teeth at and below the gum line. 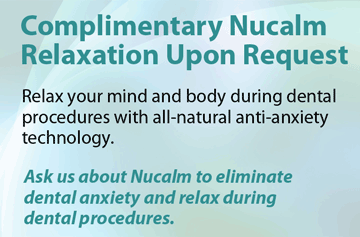 This treatment is essential for maintaining optimal oral health. Professional teeth cleaning as needed will also help reduce staining and discoloration caused by certain foods and beverages. When you combine at home hygiene efforts, teeth whitening, and regular cleanings in our office, your smile can be maintained at a lighter, bright shade of youth with healthy tooth enamel. Ask us about teeth whitening. Thanks to teeth whitening, you could enjoy a significantly brighter smile very soon. 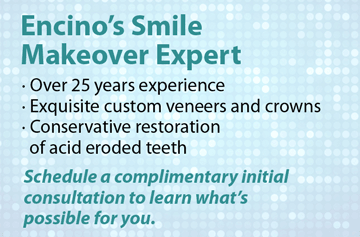 Join the ranks of Encino’s healthy, youthful smiles. Give Total Health Dentistry a call today – (818) 990-9101.